It’s really a nice and useful piece of information. I am happy that you simply shared this useful information with us. Please stay us informed like this. Thank you for sharing. Love the work you are doing here! it’s very useful information, not only for work purposes but also out of pure curiosity. it would be amazing to see this HDB database. [16:46] Visitor: I think the database could be very useful public and professional resource. Do you know if the HDB or URA have a similar database? [16:47] Teoalida: Could be very useful FOR WHAT? [16:48] Visitor: town planning maybe? [16:49] Teoalida: might find it useful… can you tell me more exactly? what data is useful? 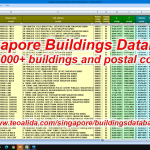 [16:49] Teoalida: street address, number of units (total or by flat type) or… ? [16:58] Teoalida: You don’t understand by reading the page? [17:04] Teoalida: What is the max sum you would pay for a such database? I think there is huge potential, especially from housing agents although most of them will not want to pay a single cent if they can get away with it. Don’t believe those that want to derail you – you don’t find another website that offer the same service as you do and that is proof enough that what you are doing is something people will want. For example, every listed company will release their own earning reports every year. This is open information but there are trading houses / fund managers who charge (or offer only to their customers) special reports that compare different companies and provide insight. I prefer not to have my comments published but feel free to contact me via email. Why you do not answer what layout should have the table, to have that huge potential? This project is just… bad ratio effort&time / revenue. I am currently working in more profitable projects. And if do not want comment to be published, why did you posted it instead of emailing me directly? I hate such people! Potential customers who quit because I don’t have the database completed! Without giving any info about how they use the database how I am supposed to complete it? 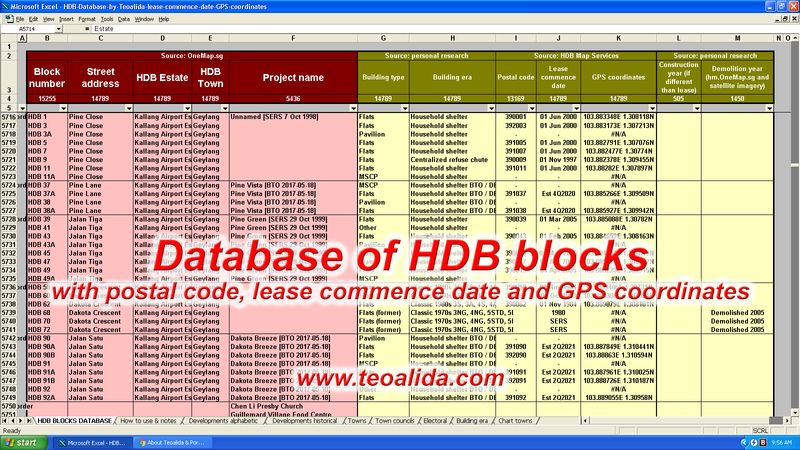 HDB Database is ON HOLD until I find a SERIOUS customer! 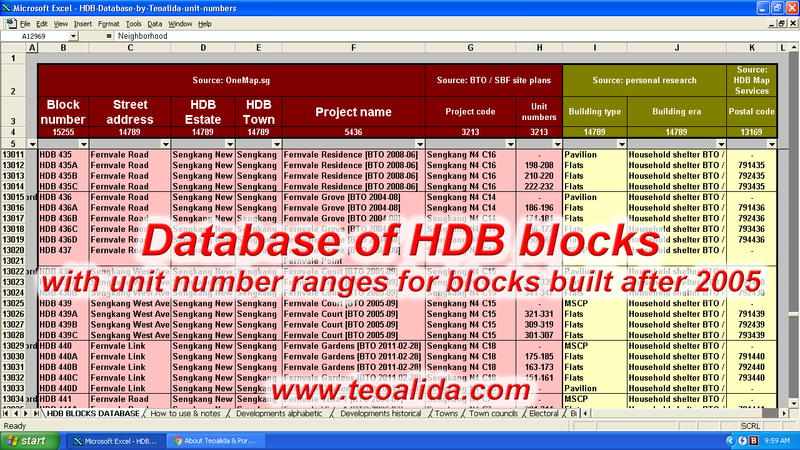 Hi bro, would you be able to find out the unit numbers of each hdb block? Like for example amk central block 123 #01-001 to #01-020. This is NOT possible at this moment. Hong Kong does have http://www.centamap.com showing unit number and position but Singapore don’t have such map yet. Would be handy if we could make one. As side question, if would have been possible to add unit numbers in my Excel database, how much you would pay for it? If you are the type of person who want just to consult freely the database, sorry but I am not willing to spend 400 hours and give this for free.